Festival Bags, Mini bags, Crossbody Small handbags, Satchel Bag….this collection of handbags will be the most interesting handbags in your collection! 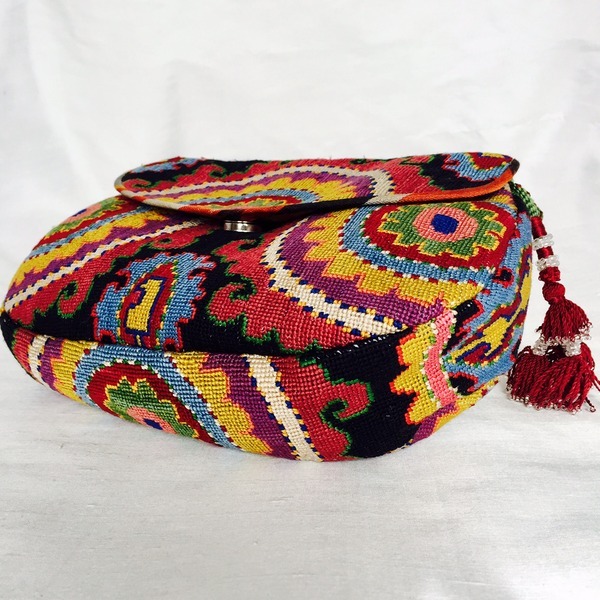 Silk Petit Point from Uzbekistan, individually designed and hand made, lined in silk ikat, handwoven straps and tassels, gorgeous and everyone of them individual and unique! Soon you will find yourself collecting all of the sizes and designs! Very limited edition and one of a kind. 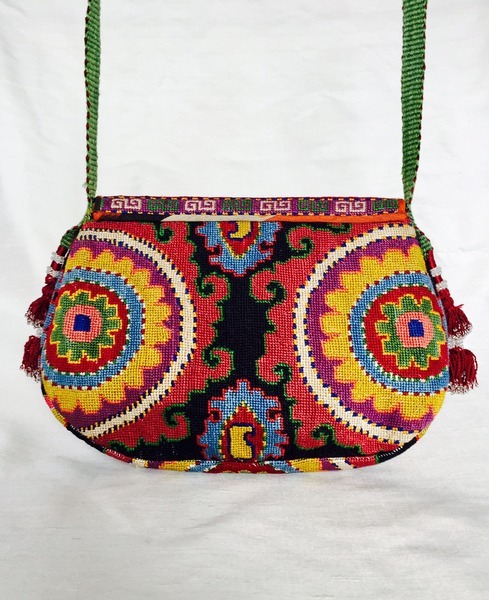 Medium gusseted Silk Petit Point Handbag created and hand made in Uzbekistan. 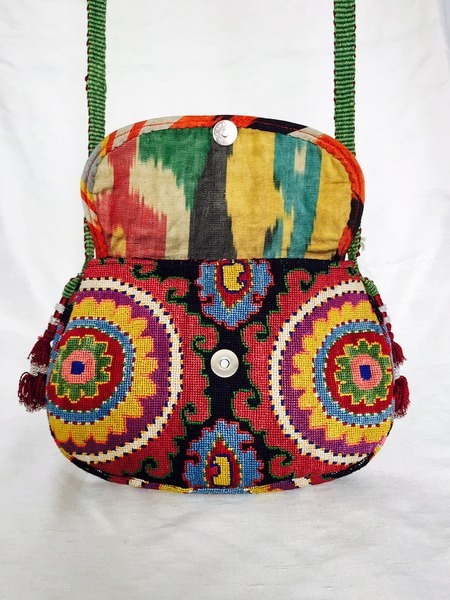 Lined with silk ikat fabric, hand woven straps and tassels and a magnetic closure. 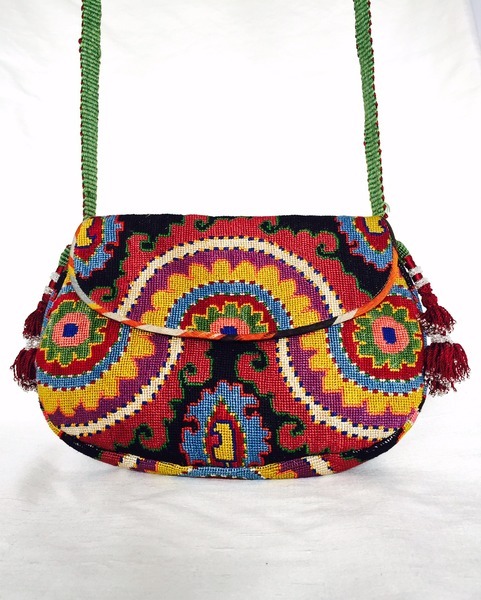 Each handbag is hand drawn on to cotton canvas, inspired by original designs from Uzbekistan history. 7" high x 9.5" width x 2.5" gusset, 7.5" opening approx. 53" strap x 3/4" width. Please note: our Paypal function is temporarily unavailable. If you would like to make a purchase, please call us at 505-986-1444, visit our Etsy shop, or simply come in to the store!